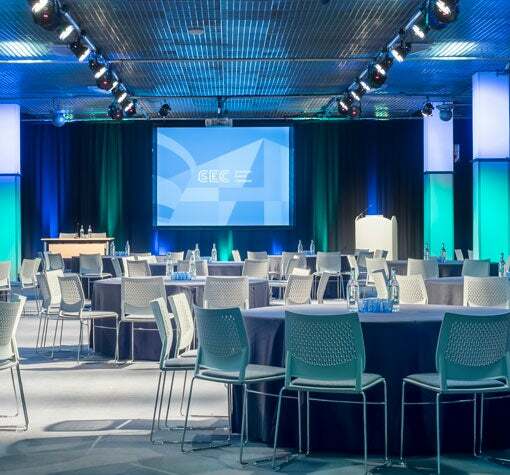 Hall 1 offers 775m2 of event space and when combined with Hall 2 it can provide up to 3,090m2 and capacity for meetings of 360 – 500 delegates. 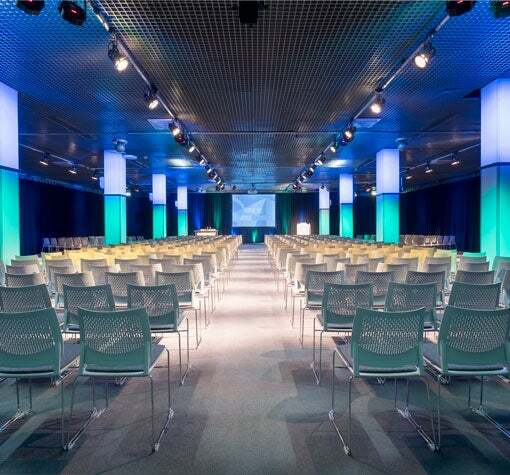 Hall 1 is conveniently located in the centre of the venue adjacent to the Loch Suite. 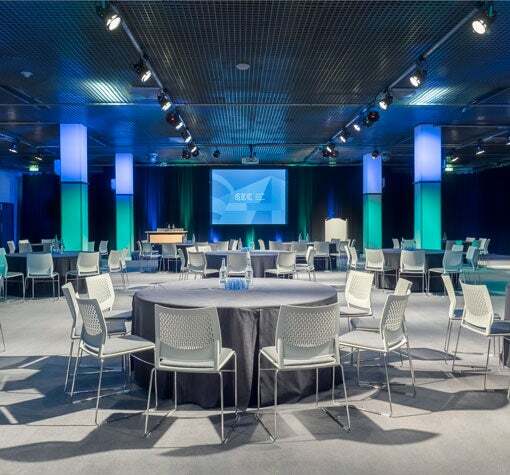 It is regularly used in combination with Hall 2 by removing a sound proofed partition offering complimentary exhibition space to the Loch Suite meeting rooms. 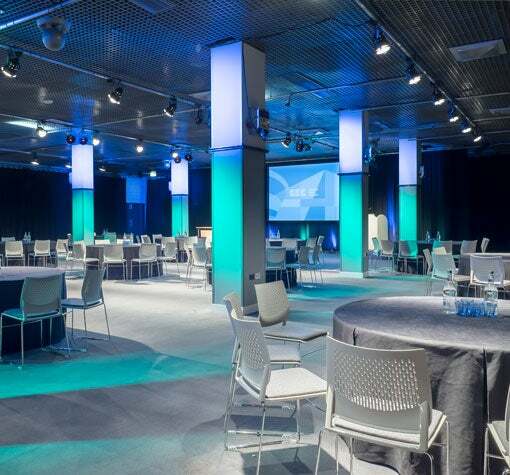 SEC Centre comprises 5 event spaces totaling over 22,000m², all of which are adaptable in their size and configuration and in turn can host a variety of events. 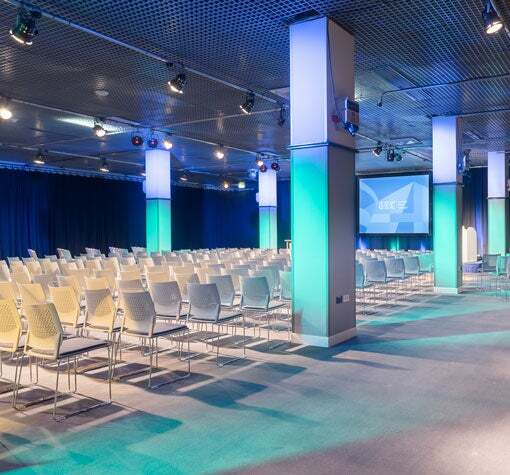 Hall 1 offers stand-alone exhibition space of 775㎡, or a conference or meeting room for 360 – 500 people. It has a ceiling height of 3.9metres. If the ceiling grid is in situ, the ceiling height drops to 3.6metres. Hall 1 is fully carpeted and features full-length perimeter drapes. Hall 1 is linked to the Loch Suite and can be combined with Hall 2 using a retractable partition to form a single exhibition space of 3,090㎡. Dimensions LxWxH – 27.9 x 21.8 x 3.9 (m) / 91’ 6" x 71' 5" x 12' 8"